‘Africa's democratic transition is back in the spotlight. The concern is no longer the stranglehold of autocrats, but the hijacking of the democratic process by tribal politics’, wrote Calestous Juma in BBC news’ focus on Africa dated 27 November, 2012 while discussing the dangers of tribalism on the Africa continent. Africa’s tribalism has been a modern cancer that is robbing the continent of its pride while putting it on a road to doom on the other side. So to start with, it’s important for us to define tribalism as a state of advocating or organizing a group of people based on their tribes. Tribalism in Africa is the second most evil thing that has happened to the continent after colonialism and this has hindered growth in all sectors that have economical potential because of small devices tribalism has given birth to in areas of productivity such as nepotism. Nepotism in Africa is as a result of tribalism that has created mistrust between people that speak languages that only differ in vowels if not pronunciation. Furthermore, the most exciting about Africa tribalism is that it is promoted by scholars or politicians that are very much aware of its impact in the society. Therefore, the Africa tribalism is not only based on ignorance, but also selfishness that has taken over Africa’s power lovers that find tribalism as a cheap vehicle to help them achieve they dreams at the expense of peace, stability and the people. On the Other hand, as much as Africa is battling with its elements of tribalism among its people, Europe on the other hand seem to be also battling its own battles of racism and the fast arising neo-Nazi propagandas that most Europeans youths seem to embrace due to socio-economical shutdowns that most Europeans countries have faced. 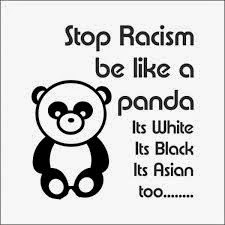 Racism by simple definition is the love of one’s race while hating other races based mainly on skin complexion. The European racism has not been printed so much by the Medias like the African tribalism but the truth remains that the European racism is an “open secret” that is an enemy to growth. For example, not long ago , a football match played by Villarreal CF against FC Barcelona was shameful interrupted by the reception of racism when a banana was threw to a footballer on the field. That whole situation was well handled by the footballer who humbling ate the banana thrown unto him, but it also showed the ugliness of racism that has engulfed Europe because its racism is no longer an “open secret” but a crisis that will both put the community and the beautiful game of football at risk. “Racism and tribalism are not lifestyles, but self-imprisonment or illness that prevents growth and must be cured by LOVE”. I personally, believe racism and tribalism is not a lifestyle, but a self-imprisonment or an illness that prevents growth. Both racists and tribalists, despite they geographical location their live share a common notion of “hate” because they do not see the beauty that lies in a “one united people” because of the illness of ignorance. The world is a beautiful place for everybody to live in, if we stand against the illnesses and evils of tribalism and racism then a generation of joy is guaranteed. All in all, its not only tribalism and racism that is affecting the world from growth, there is another form of segregation experienced and practiced in countries like china and India based on religious believes.